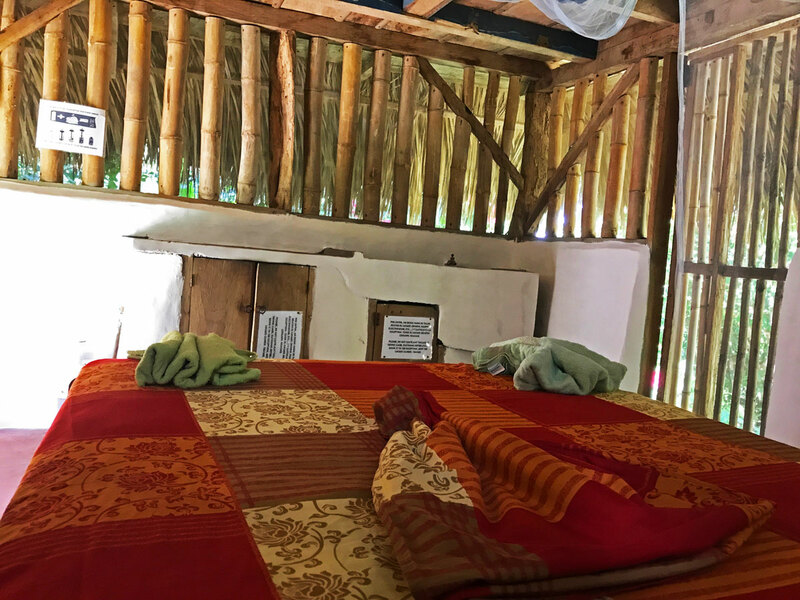 In a quiet and private location this hut has been built almost exclusively with wood and bamboo from the Farm. The roof is covered with Royal palm tree leaves. 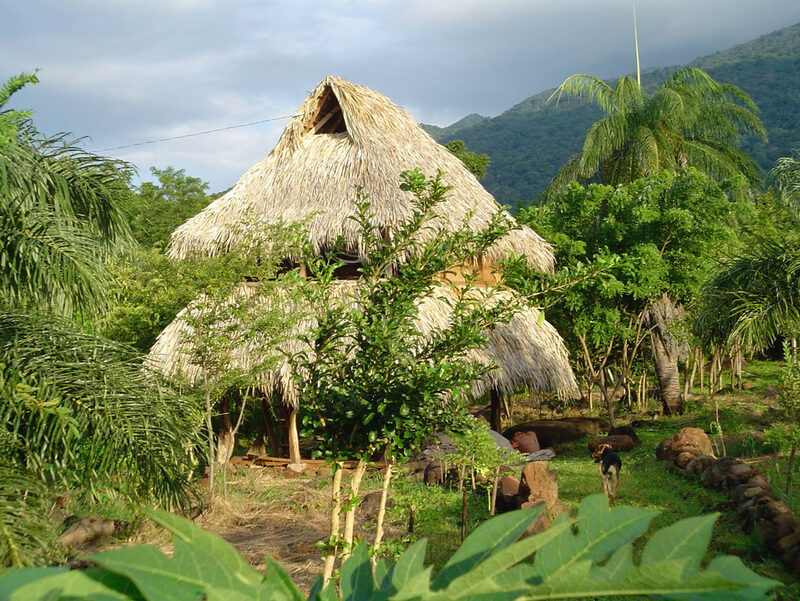 The hut is on two levels with separate entrances and can house 4 people. 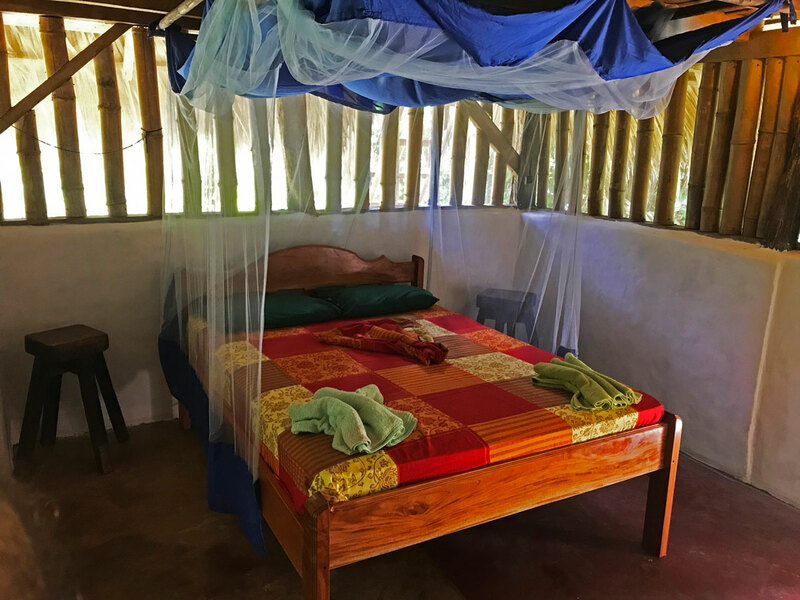 The ground floor has a double bed with a canopy type mosquito net. There is also a wash space with a basin and mirror. There are lockers for luggage. 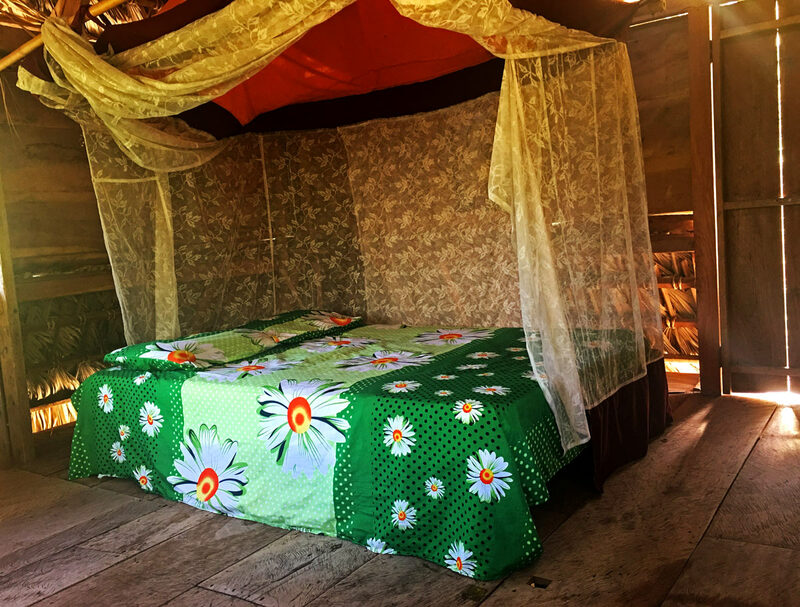 The top floor has a double bed with a canopy type mosquito net and two hammocks situated on an airy balcony. 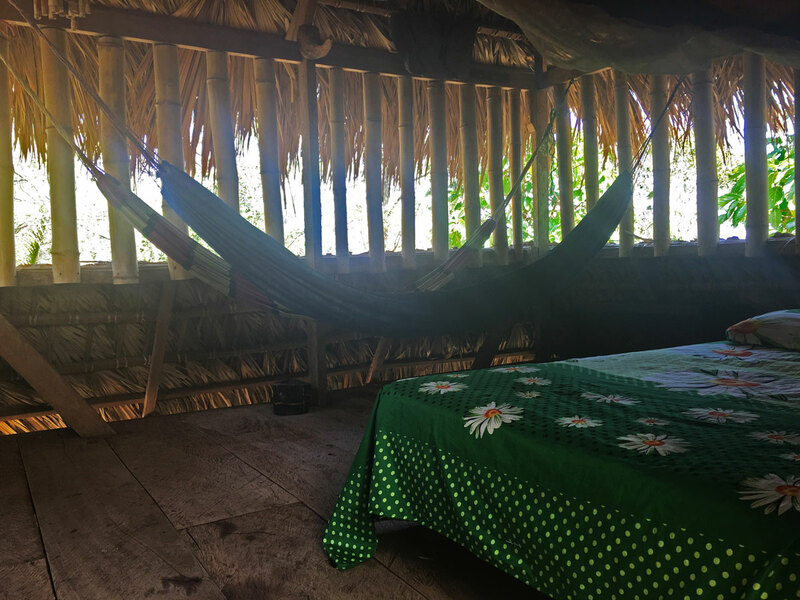 For a group of 3 or 4 people , we rent the hammocks at 5 usd per person. Again, this room also has lockers. 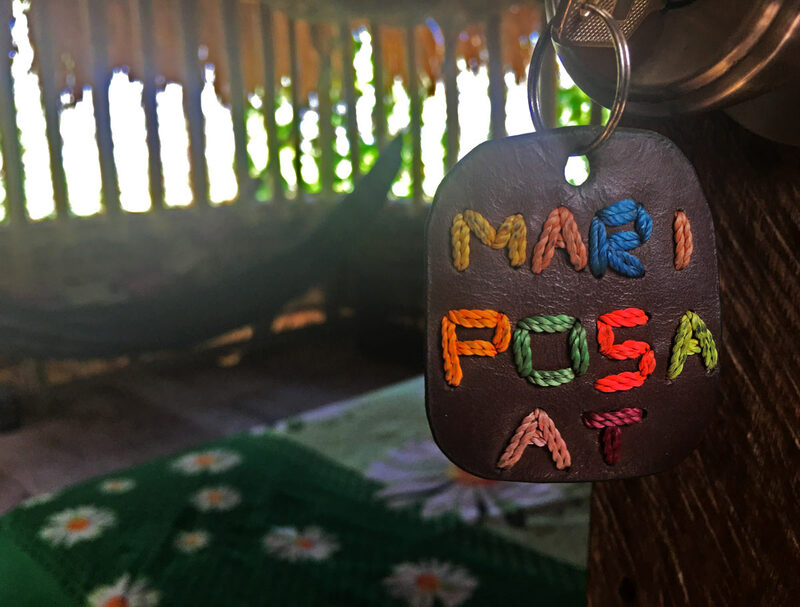 PRICES: Last update FEB 2019. Each double bedroom $12,5 for two people, $10 for one person.